Sooner or later, your windows will leak. It could be the highest quality window replacement you’ve ever had but it will have its time to finally give in to the normal wear and tear of daily use. Leaking windows cause a lot of problems. Not only does it bring in unwanted water and moisture indoors, ruining walls and furniture, but it can also encourage the growth of dangerous mold, posing a health hazard to your family. Even with expensive top-quality windows, leaks can still happen and it’s frustrating when they do. 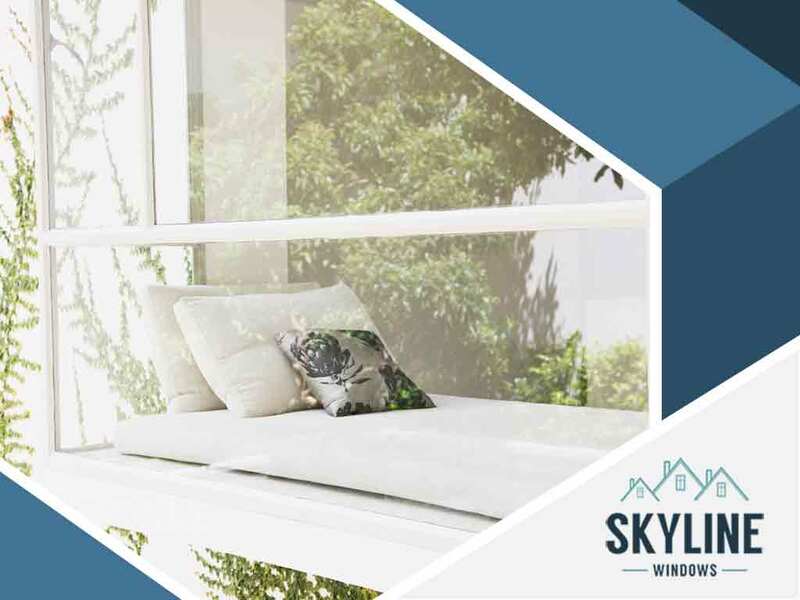 Our experts at Skyline Windows have listed down the most common sources of leaks in windows to help you spot potential problems. If you recall your grade school science, water condenses when it cools down. Moisture in the air during summer will come into contact with your windows and condense on the surface. In small amounts, these don’t really pose too much of a problem, but with enough condensation, the water can seep their way into small crevices and cause damage. Composite window replacement is prone to condensation as well as most other types. If you suspect your windows are showing signs of condensation, contact our professional window specialists right away. Window glass is actually not as simple as you may think. Often, a gas (typically argon) is sandwiched between the glass panes. This gas is responsible for a large part of your window’s energy efficiency and is kept in place by a seal in the glass. Sometimes this seal gets broken and you’re left with a highly inefficient window that’s more susceptible to condensation. Sometimes, it’s not your fiberglass window replacement that you need to blame, but your walls. Leaks in the wall, often traceable back to the ceiling are often blamed on nearby windows. Window leaks can best be prevented by ensuring they are installed correctly the first time. Trust Skyline Windows to help you keep your window leaks contained. Call us today at (804) 729-8344 or fill out our online form to request an estimate.